I’ve been giving a new twist to the little black dress as per different occasions. My first look was casual and can be viewed here. 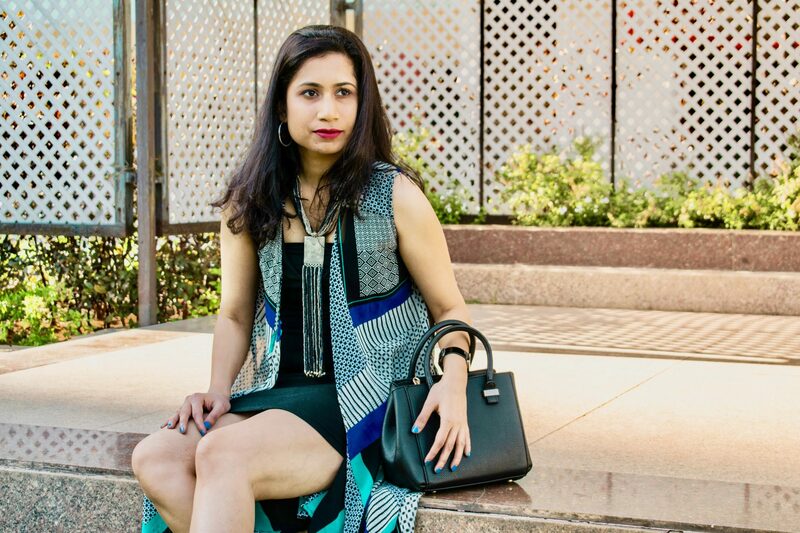 This time around, I paired it with this printed dressy shrug which add some colour to the entire look. I teamed it with loud accessories while keeping the footwear simple. We don’t want everything to be shouting, do we? This was perfect for my evening out although I did get ready much earlier to click photos for this blog! Have any ideas on ‘recycling’ your outfits? Have you tried giving any dress multiple looks? Stay tuned for my 3rd look in the next blog.